This may be a very stupid beginner question but, I am a beginner. I have done some English genealogy and I wonder about the possibility of tracing lineage in Sweden when I read that people could take upon them any name the wanted. How then can it be possible to track families down or even individuals if the change their names upon reaching adult age? I actually has that exact same problem but I live in Sweden... that is a really good question! As a matter of fact, it is quite easy (when learned). There are books with everyone listed, and each thing that happened to them, not only counting every 10th year or so. You just find one person one year in one place. Then you can easily track down everyone, as far as the books still exist (some are destroyed in fire accidents). Well, there are some difficulties with the bigger towns, where so many people moved in and out. 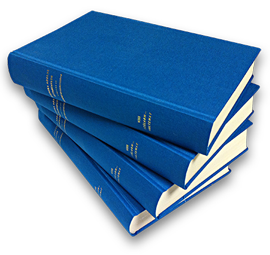 What is a litte irritating is that the books are not yet accessible in internet without a fee. And, of course, everything is in Swedish. Or a little Latin. Swedish naming practices here: Names. 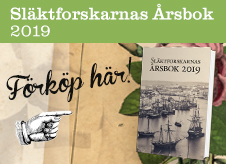 This is a rather good booklet on doing research in Swedish genealogical records: Swedish Genealogy. It's geared towards American genealogists, so I think you'll find it useful. I read the link on names and read about names in your Swedish Roots but I still saw no explanation that mentioned a daughter adding sson to her fathers first name. In the transition period between patronymics to inherited family names at the end of the 19th and beginning of the 20th century, some girls got the same surname as their brothers, for example all Sven's children used the surname Svensson, both boys and girls. Thanks for that info. Obviously I saw it in this case but I read many pages on Swedish Names and no one ever ever addressed females adding sson to their father's first name. I have to say that the entire Scandinavian patronymics naming system is one of the most difficult things to get your head around if you are not used to it. I like everything to fit clear concise little rules. I just try to imagine conversations where people sat around discussing what they wanted their name to be and deciding on what they liked best and everyone picking their own variation Hard to comprehend when you are from the system that says, You don't like your name, toooo bad, you are stuck with it for life. En post rörande en David Molin borttagen av moderator på grund av otillåten dubbelpostning. för generella frågor kring svenska namn.